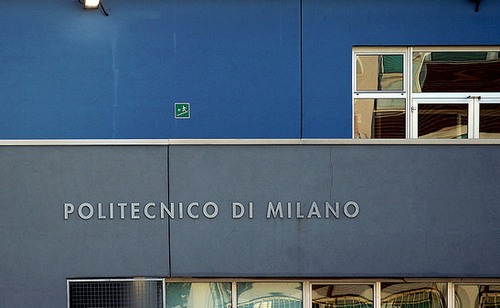 Politecnico di Milano University (Polytechnic University of Milan) is Italy’s largest technical university, with a current student population of about 40,000. The Times Higher Education survey placed the university in the 57th spot among the Top Universities worldwide in 2009. In Italy in the same year, it ranked first among the different academic institutions in terms of foreign student preference and scientific production amongst many others. Professor Guilio Ballio is the university’s current rector. The Politecnico di Milano was founded in 1863 under Francesco Brioschi’s administration as ‘Istituto Tecnico Superiore’. The university was first built in Collegio Elvetico (now known as Via Senato). It formally opened on 29 November, 1863 and accommodated 36 students. 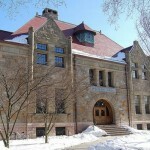 In 1865, the university implemented its first educational ideology, which focused on technological research education and engineering, which was soon followed by a civil architecture section. The new architecture course sparked the establishment of a high school for modern architecture, an academic first in Italy. Giuseppe Colombo, who served as the university rector in 1897-1921 focused on developing ties between the Politecnico and the industrial sector by creating new companies such as Societa Edison, which acted as a major player in electrical industry development. 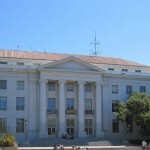 The university switched locations in 1927 and moved to Piazza Leonardo da Vinci, which is the school’s current address. The new building opened on the 22nd of December, and the university officially changed its name to Regio Politecnico di Milano in 1937. The university’s undergraduate studies is comprised of its Architecture and Planning; Bioengineering; Chemistry; Electronics and Information Technology; Electrical Engineering; Energetics Engineering; Physics; Industrial design, Arts, Communication and Fashion; Aerospace Engineering; Industrial Engineering and Management; Environmental, Hydraulic, Infrastructures and Surveying Engineering; Nuclear Engineering; Structural Engineering; Mathematics; Mechanics; Architectural Projects; and Building and Environmental Sciences and Technology departments. The university has played a major part in the country’s engineering and technology sectors through its graduate studies. It currently boasts several laboratories for research in the field of science and technology, which are considered to be some of the most advanced in the world. Other similar ranked universities in Italy include the University of Ferrara, University of Trieste, University of Florence, Turin University, Polytechnic University of Turin, University of Bari, Scuola Normale Superiore di Pisa, University of Genoa, and University of Naples Federico II. Politecnico di Milano; Photograph by bibendum84.